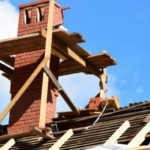 Tuck Pointing, Brick and Chimney Repair Toronto | Turnbull Masonry Ltd > Blog > Blog > Tuckpointing: Does Your Masonry Work Need It? 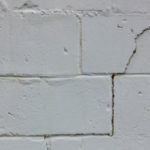 The most common cause of water getting inside of masonry work and creating damage is worn mortar joints. To prevent this from happening and to maintain the durability and water-resistant nature of masonry work, tuckpointing is required every so often. What is tuckpointing exactly? In simplicity, when the mortar joint of a brick becomes damaged, new mortar is ‘tucked’ inside of the damaged mortar joint. Tuckpointing is necessary at some point on all brickwork, and includes the actual process of taking out the old impacted mortar and replacing it with new mortar. Sounds simple, but it’s an extensive process that takes learned skill, patience and attention to detail. Does Your Masonry Need Tuckpointing? Any wear on your masonry structure is best caught early on before larger problems have a chance to develop. You should regularly check your masonry work for signs of abnormal defects. You notice a whitish substance on the face of the masonry. You notice holes and gaps in the mortar. You notice cracks in the mortar. Normally The need for tuckpointing can be identified with your bare eyes. A special tool can also be used to lightly scrape at the bricks and identify cracking or decomposing mortar. 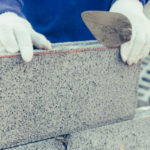 If you have an older building, you might need to clean the masonry work with low to moderate water pressure first to reveal the true appearance of mortar joints. How Often Does Masonry Work Need Tuckpointing? Often people become confused about tuckpointing procedures because they are called by a few different names and the actual process can vary. Tuckpointing can also be called pointing, and repointing. In general there are 2 types of tuckpointing, one includes making the illusion that there is a fine joint seam between bricks, even if there is actually a very large joint. This definition for tuckpointing shines light on its heritage, which dates back to the eighteenth century in England. 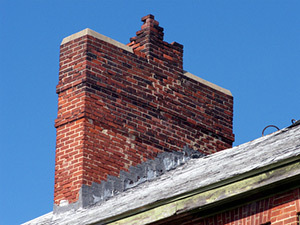 Up until the end of the eighteenth century, larger mortar joints were popularly used in the construction of masonry buildings. Tuckpointing was originally established in order to imitate a new style of brick that hit the market. This brick was red, oversized and had very thin mortar joints. Tuckpointing provided a less expensive way for people to obtain this new look without changing the overall structure of a building. 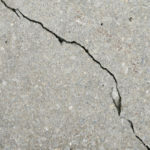 For best results, a professional is recommended to diagnose and repair cracking or crumbling mortar joints. Turnbull Masonry knows bricks best, we provide professional tuckpointing you and your building can rely on.